Fashionable & mum rarely sit next to each other in a sentence. When looking for everyday clothes my agenda is normally to find something comfortable that washes well. Since being on Maternity Leave with a very strict budget my choice of designer clothes have been Oxfam & Heart Foundation but on Monday I dug deep into my penny jar and went upmarket to Primark. I basically had £30 to update my wardrobe with a few key pieces that could be swapped & changed for all occasions.Having stood & read all the fashion magazines in WH Smith this gave me an idea to see how I could use 1 item for 3 different occasions.All 3 looks are based on a dark denim skirt £10.00 from Primark. I have added a few bits from my own wardrobe to help style the looks fully. Stylish but comfortable this look would work for any day occasion. For the breast feeding ladies simply add a vest top underneath for easy but unexposed access. The top is a total bargain at £6 and can be worn on or off the shoulder.With the skirt being knee length you can get away with baring a bit of décolletage. Add a simply necklace to finish off the outfit. This outfit is for a mummy on the run when you have 3 minutes to get dressed and get out the door. In winter add a jumper & some black tights. I had to have the sequin pumps, they Jazz up any boring outfit . "We Do Like To Be Besides The Seaside "
Oh wow! 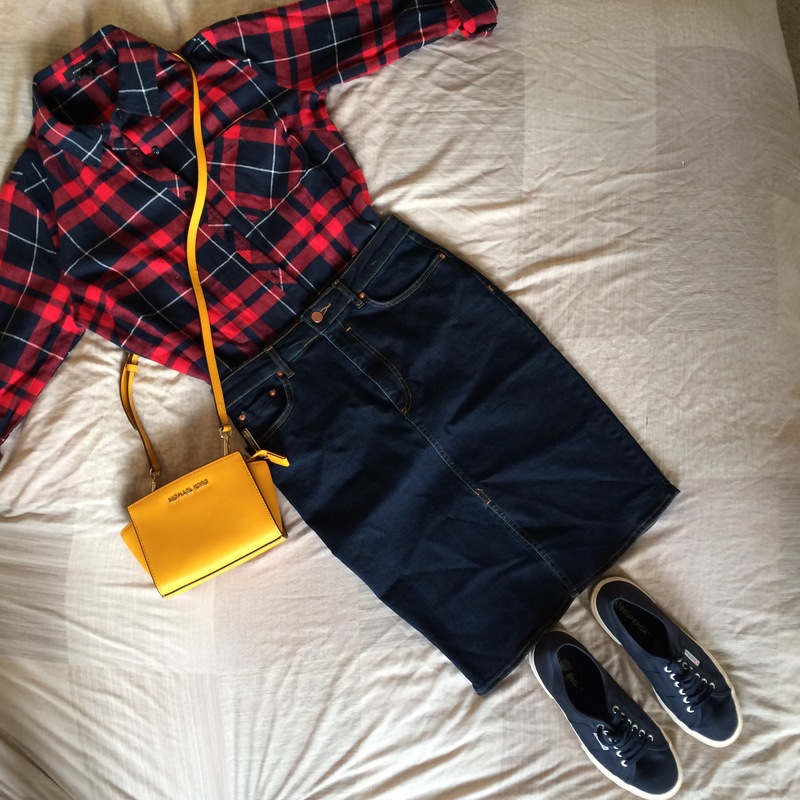 You’ve just reminded me that I have a denim skirt exactly like this is my wardrobe. I have had it about 10 years and it’s from Pilot… Does Pilot even make clothes anymore? I must dig it out as I could totally wear this on the school run. Would make a fantastic change from just jeans all the time. I love your outfit choices here! Very trendy outfits, I like how the skirt can be so versitile. I haven’t shopped in Primark for a while, but I know they have some great clothes and good prices. Thanks for having me !! I didn’t think I would be able to pull one off either with my mummy tummy but it’s actually really slimming. Thanks for your comments X Your badge is the top one on my side bar 🙂 If you want it somewhere else just let me know. Such lovely outifts. I would love to have the figure to pull that skirt off! I say try a few different styles on. You might be surprised. Lot’s more fashion posts to come. Love these looks, my favourite is the one with the stripy top. 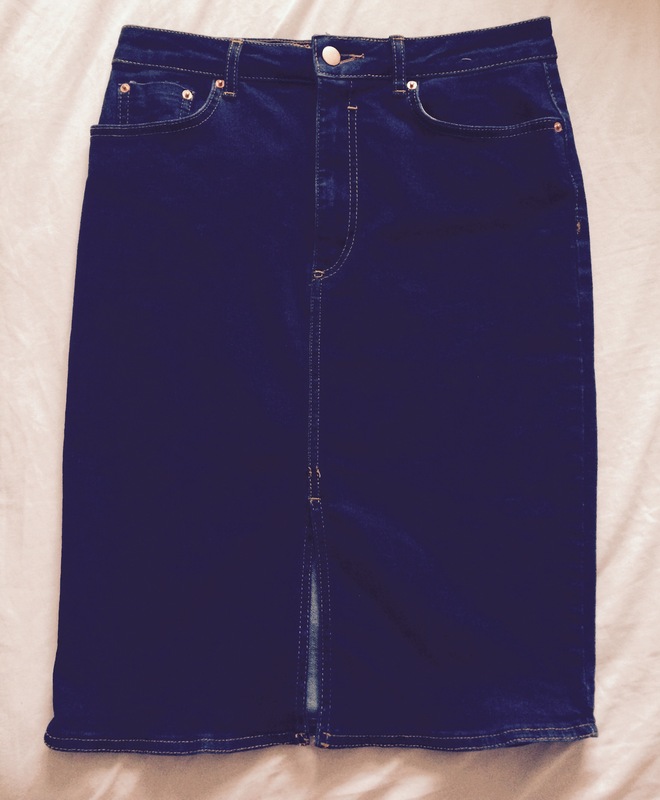 A denim skirt is always my holiday staple!